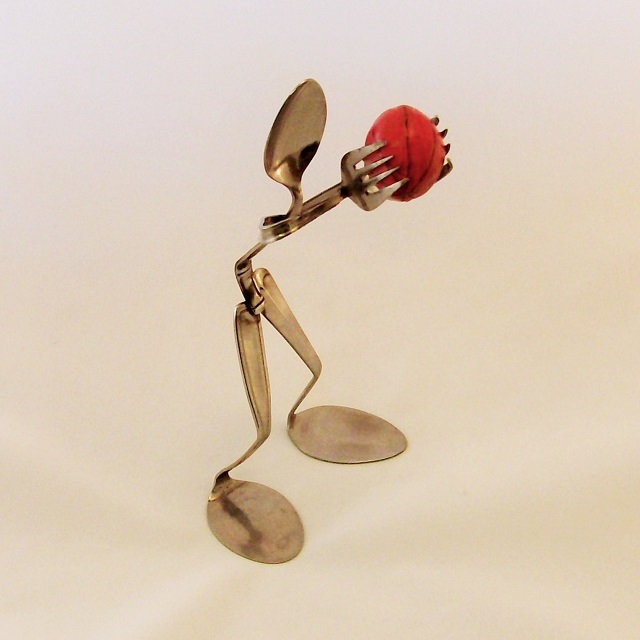 Handmade Silverware Basketball Player Spoon Art Gift - Carmichael Inc.
One of our custom work requests was for a Handmade Silverware Basketball Player. The customer has a son that’s on his high school team. She wanted a special handmade gift for him on his birthday. Mike chose some vintage silverware for the basketball player, then formed and welded the pieces together. Then he made the basket ball out of sheet metal. It was made by hammering out 2 halves, soldering them together, then hand painting for the finish. The ball is attached to the player with epoxy. Mike decided to make another Handmade Silverware Basketball Player to put in our online store. The pose is different as shown below. Tap the picture if you want to Buy it Now ! We only make one at a time. 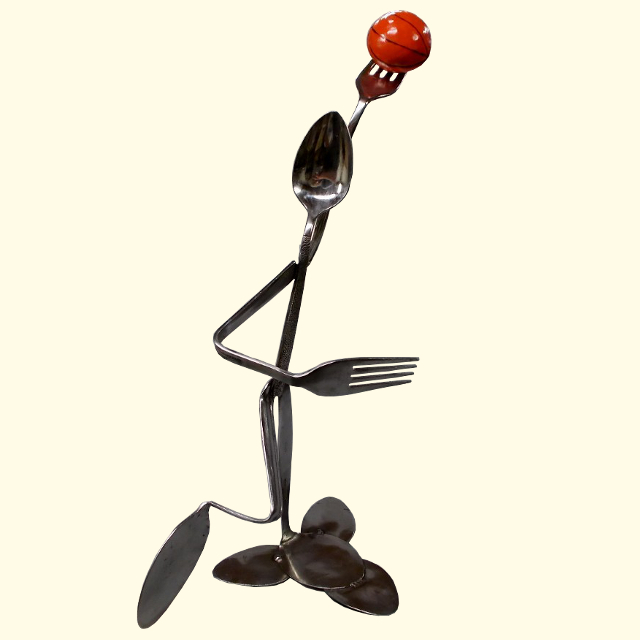 Carmichael does custom orders like the Handmade Silverware Basketball Player shown above all the time. We do “one-of-a-kind” projects that many other shops are not willing to do. Carmichael can take care of the design work if you provide a good description and a few details for what you need. To discuss what you have in mind, call us at 330-402-2900, or send an email.